Part Number WP308180 replaces: 14210047, 308180, 308180BULK, 311470, 311652, 313827, 660576, 661170, 99989645. Range, Microwave Oven Combo, Wall Oven. 1 Turned off power to stove at distribution box. 2 Removed oven racks to make room to work. 3 Illuminated oven interior. 4 Selected screw driver with largest grip, and correct phillips bit. 5 Undid two screws holding element to back wall of oven. 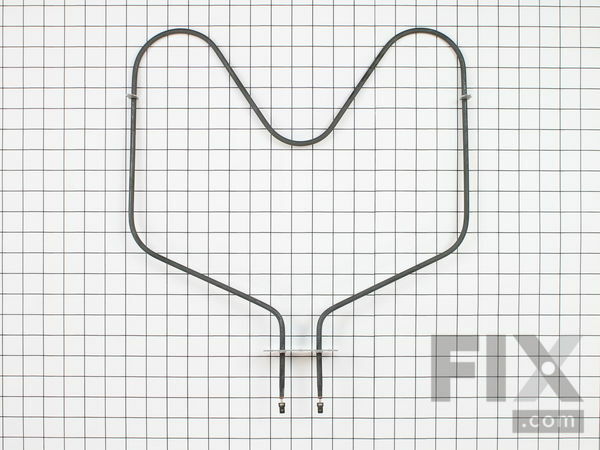 6 Gently pulled element towards front of oven to expose spade connectors to internal wiring. 7 Separated connectors and removed element. 8 Replaced with new element by retracing steps 7 through 1. 9 Success! Two difficulties: A. The retaining screws were stuck with age, and required a large torque to release. B. Similarly the spade connectors were stuck and required care to separate without damaging the wiring. My oven element stopped working. Took out old element with a screwdriver. Needed to spray with liquid wrench to loosen. Pushed new element in place and tightened with screwdriver. Removed 2 screws that attach element in place. Pulled element out and disconnected the wires. Replaced with new element. Attached the wires and replaced the screws. Project took less than 20 minutes from start to finish. Two screws to remove old element and reverse to install new one. First I turned power off of stove, Unscrewed the screws, pulled it out so I could hold on to the wires, pulled old wires off and put new wires on. Went very easy. opened your box....put the element in with a screw driver within 5 minutes. THANK YOU for your service and selection. We appreciate not having to buy a new oven at this time. Unscrewed element from back, pulled out wires about 3-4 inches, used pliers to disconnect it from wires and slipped new one in its place. Screwed new element to back. Done! Easy enough for a woman to do it. take out the old one insert the new one, Only two screws. Even a mechanically challenged person like me could do it. Bake element went out after 20+ years of service. Followed the instructions given on the parts page.